One of Melbourne's most experienced restaurant managers, Joel Penno, previously at Stokehouse and Kisume, has opened his first venue, and it's been instantly, fiercely embraced by its community. Elwood Bathers is right on the beach, in the premises that was Sails by the Bay for more than two decades. After a seven-week shutdown, it's had a bright refresh and has been re-pitched as an all-day hangout. Locals and bayside visitors are lapping it up and why wouldn't they? It's one of those restaurants that seems obvious as soon as the doors open. Come for coffee with the cavoodle on the terrace early in the morning. Pop back for a burger after a paddle at Elwood Beach. Finish a foreshore promenade with a spritz. 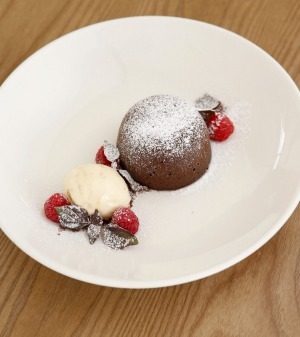 Return with the kids, tennis ladies or cycling squad for a please-all-comers dinner. The view is fabulous all the time but sunsets are ridiculous and, sitting by the window with a glass of wine from the mostly Victorian list, you wonder why it took so long for someone to fine-tune the potential of a foreshore site with as good a position as St Kilda stalwarts Stokehouse or Donovan's, plus easier parking. That's not to say Elwood Bathers is pitched at the same fine-dining audience. 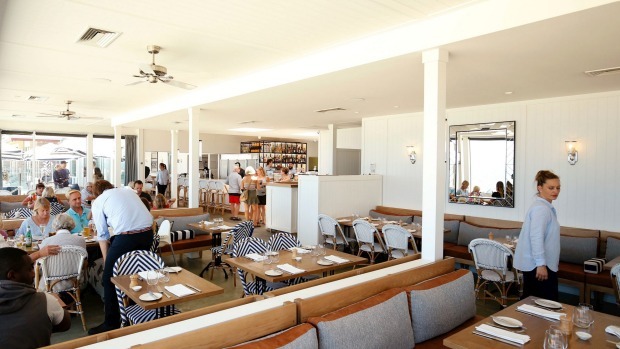 You could think of it as Donovan's Lite, with a similar beach-house feel but less luxurious trappings, and with some of the same classic dishes – steak, fish and chips – but at prices that will have many visiting numerous times a week. The intention is clear: it's aiming to be a favourite restaurant, not a top restaurant, an easy answer when the question is "Where will we go?" The menu doesn't rock any boats but it's executed with consistency and efficiency by chef Philip Botes. Good bread and butter hit the table early, and are offered again. Snacky stuff leans towards seafood, with oysters, tuna tartare and calamari, plus lovely sardines tickled with pickled onion and piled on sourdough toasts. Raw kingfish must be compulsory in Melbourne eateries: it's dressed here with pistachio and mint. Prawn arancini have a pleasing golden-crisp exterior but the seafood is overwhelmed by a tart napoli sauce that accompanies them. There's also very tasty chicken and duck liver parfait, creamy and rich, with cornichons on hand to cut through. Main courses swim a steady path. 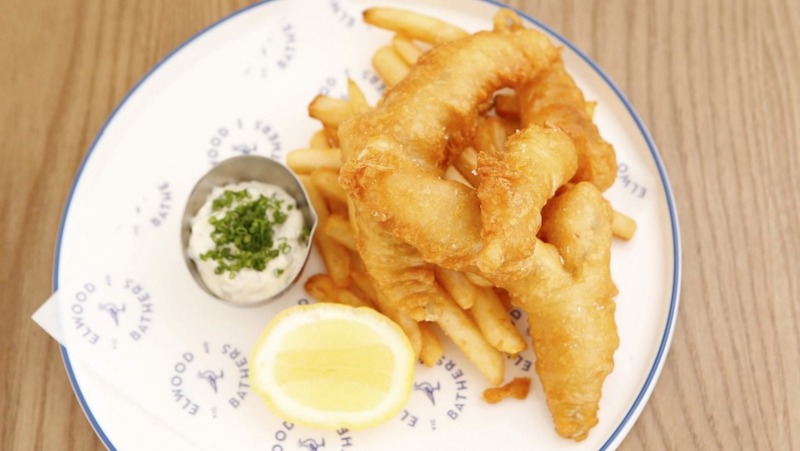 Beer-battered flathead – three generous fillets, golden and crunchy – is served with decent chips and a piquant house-made tartare. 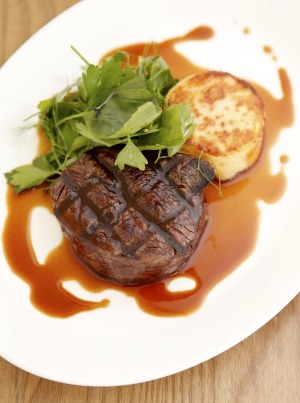 Grass-fed steak comes with a puck of potato fondant and a pool of sticky beef jus: it's unapologetically conservative, and unreservedly nice. Same deal with a side salad of rocket, walnut, parmesan and pear, and the chocolate pudding with raspberries and salted caramel ice-cream. When dishes like this are done well they can make a person wonder why chefs keep trying new things: the classics are classics for a reason. Elwood Bathers has a lot going for it. The morning menu – granola, pancakes, eggs – makes it possible to conceive of early morning strolls or cycles as merely a prelude to breakfast. Got a party to plan? The function room is completely separate and can cater to 130 people. It's been renovated too and is sure to provide a handy adjunct to the business. Elwood is on the up – come and toast it here.